The relationship between the UCC and CCCAS began as early as 1984. In 1996, the CCCAS General Assembly adopted a resolution approving a relationship with UCC as mutual partners in mission. In 1997, representatives of the CCCAS and the UCC met to discuss the nature of this partnership and develop a written theological foundation. In 1998, a “Partnership in Mission and Ministry” was signed by both sides and later ratified by the CCCAS General Assembly in 1999 and the 22nd UCC General Synod. 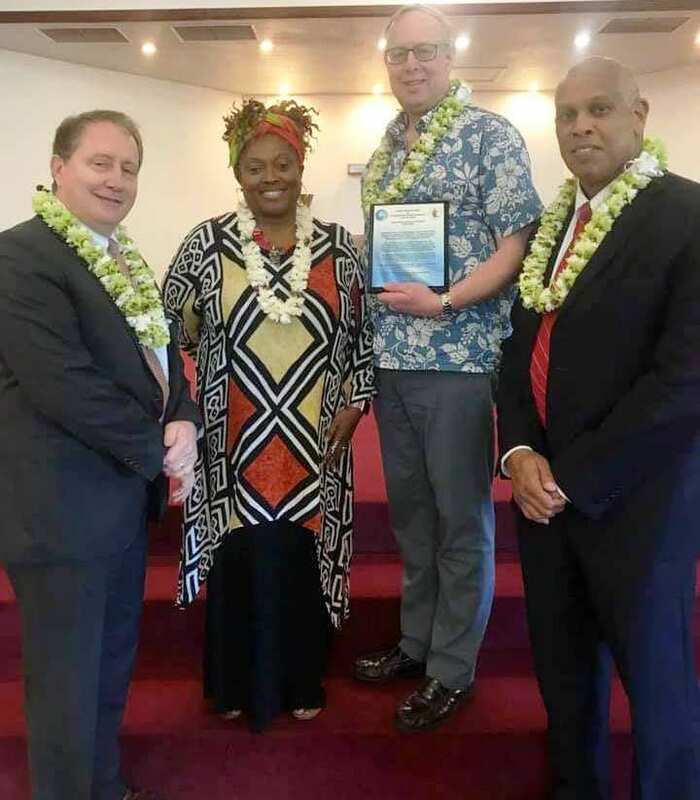 In December 2018, a celebration was held in Honolulu, HI marking the 20th year anniversary of this partnership. As one of the largest Christian organizations in the United States, the UCC has done a lot in supporting its partnership with the CCCAS. 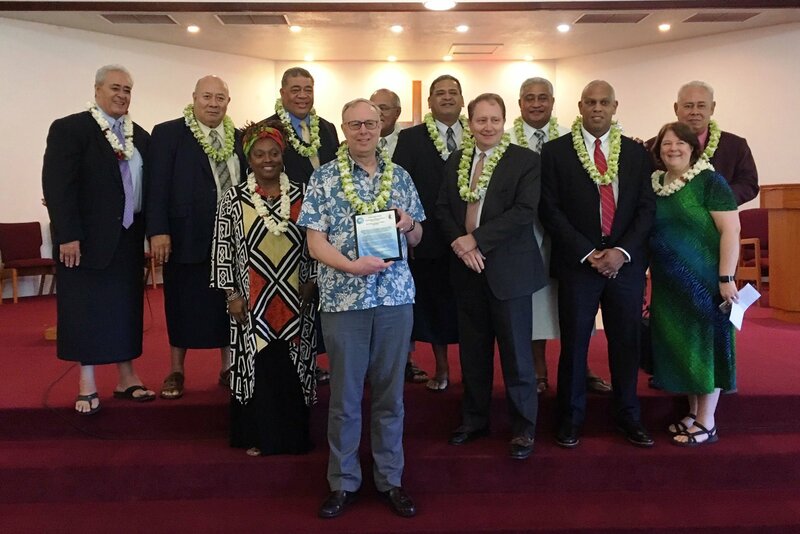 Recently, through its financial arm – UCC Cornerstone Fund – UCC helped fund the renovation of the CCCAS main sanctuary, UA TAUNUU, which was dedicated in January 2019. In good faith, UCC has also allowed the UCC Cornerstone Fund to be made available to all member congregations of the CCCAS. Moreover, a plan is in the works between the CCCAS and the UCC Pension Board to offer pension benefits and financial security to interested CCCAS clergy and employees. Furthermore, through its overseas mission arm – Global Ministries – opportunities to participate in overseas mission has been opened to members of the CCCAS. For CCCAS members and member congregations, click on Opportunities at the top right side of the main menu and see more of what the UCC offers in the areas of Employment, Mission and Funding. If there are any opportunities offered by the UCC that you are interested in, please contact the Office of the CCCAS General Secretary if you would like more information or wish to apply (GenSec@efkasonline.org).